It’s no secret that I enjoy Indian food (as evidenced by these recipes: Butter Chicken, Naan, Peas Pilau, Spicy Indian Chicken Sandwich, and Indian Layer Dip). I also love yogurt and mangos. 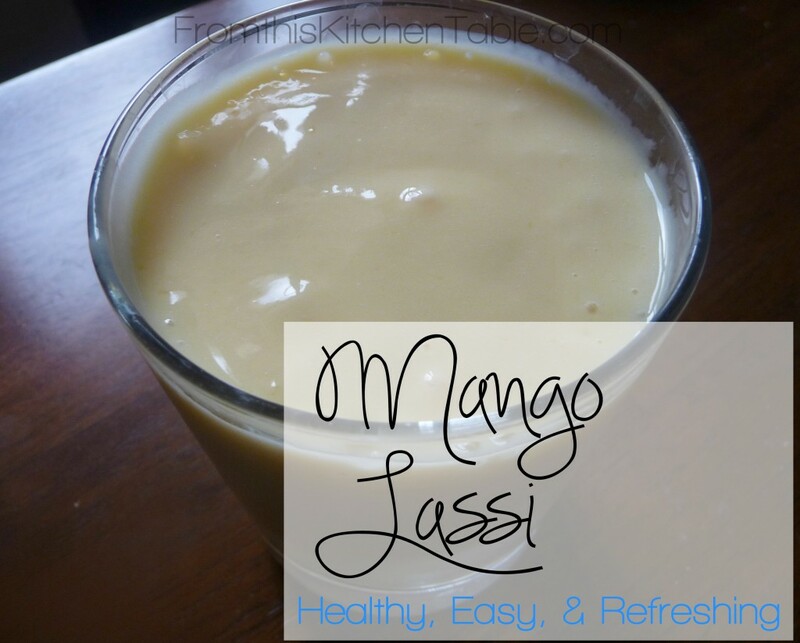 When you put all three things together, you get a wonderful, easy, and healthy treat: a mango lassi. It’s a light drink I love for breakfast, dessert, or a snack. I can only think of one time I’ve had a mango lassi and not enjoyed it. That time was at an Indian restaurant for my sister’s rehearsal dinner. I’m sure the drink in and of itself was great, but the fact that it was served in glasses hot from the dishwasher made it something I didn’t want to finish. 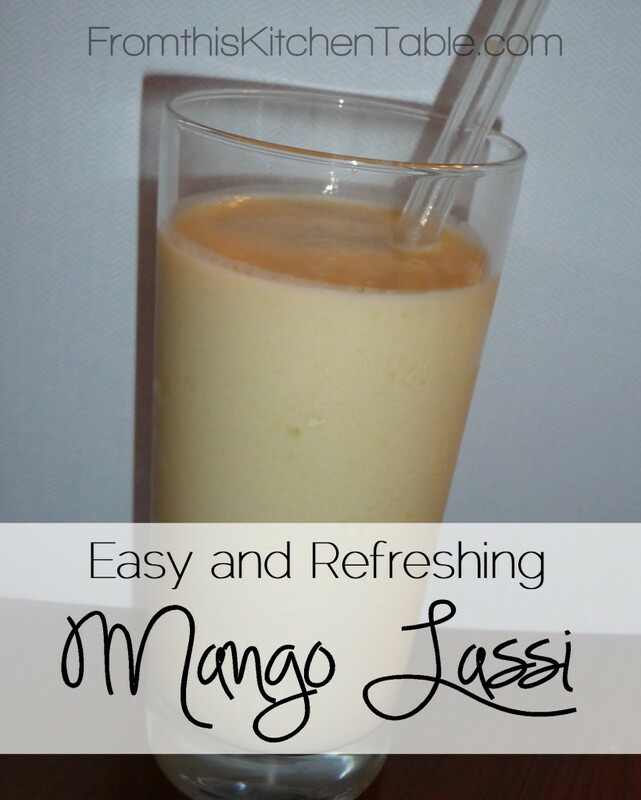 This easy mango lassi comes together quickly and is good for you! No refined sugars or added ingredients. My kids enjoy this as much as I do! Place yogurt and mango chunks in the blender. When smooth add sweetener to taste. Add ice cubes and or milk if using. Blend well so completely smooth. This entry was posted in Beverages on August 22, 2014 by Deanna Michaels. We LOVE Mango Lassi! That’s been the beverage of choice for our family this summer! Same here!!! Mango lassi is so amazing. Yum. I have a mango I need to use up and I’ve been debating whether to do the lassi or experiment with mango frozen yogurt. . . Decisions.